Cleaning Huskies can be quite a task, but a foaming pet shampoo can help make washing your best friend less of a chore. 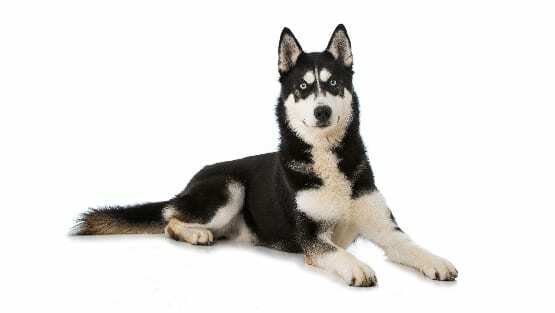 America loves Siberian Huskies, with their brightly colored eyes and fur that sheds hairballs the size of Chihuahuas. Huskies’ mischievous but gentle disposition makes them great companions, but can also mean that sometimes playtime leads to them being covered in mud—or something worse. 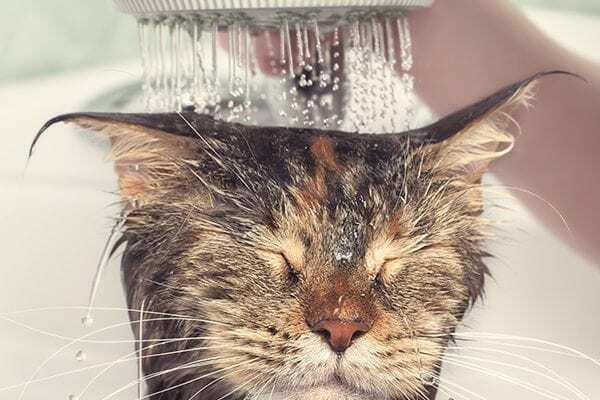 Cleaning them off can be quite a task, but using a foaming product, such as Vetericyn FoamCare Shampoo, can help make bath time easier–and healthier! 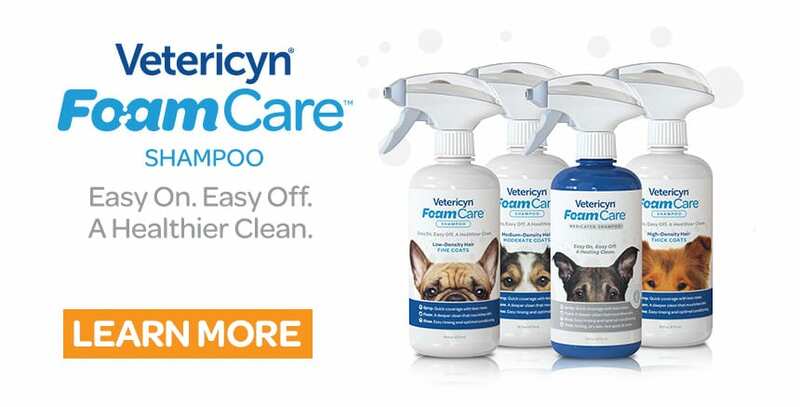 Vetericyn FoamCare Shampoos come in three coat-specific formulas and a medicated version that make it easy to deliver a fresh, clean scent while also administering the nutrients that are vital for the health of your dog’s skin. 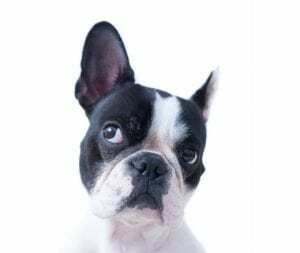 The density (or thickness) of your dog’s hair is the main determinant of what shampoo they should use, which is why Vetericyn FoamCare Shampoo comes in a Fine, Moderate and Thick coat formula. Huskies have high-density, fluffy coats. Their high-density hair requires grooming often. Huskies’ coats are meant for arctic weather, so they grow a second coat during the winter to keep them warm. When they shed that coat in the spring, they tend to leave fur balls everywhere they go. Huskies should be brushed out almost weekly, or even daily during the spring shedding season. 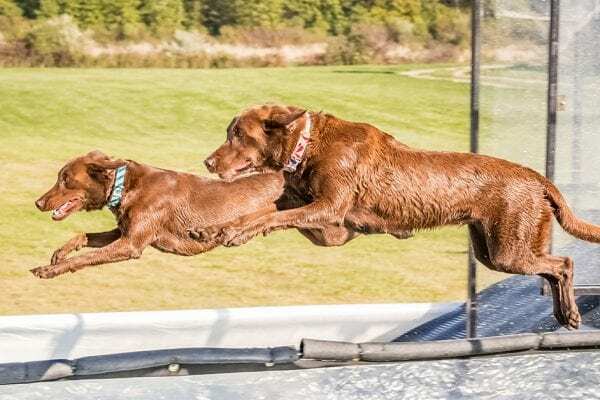 Because water isn’t always enough to get these pups clean, be sure to wash them with a coat-specific shampoo regularly (about once a month, as per most vets’ recommendation), or whenever they roll into something particularly dirty. 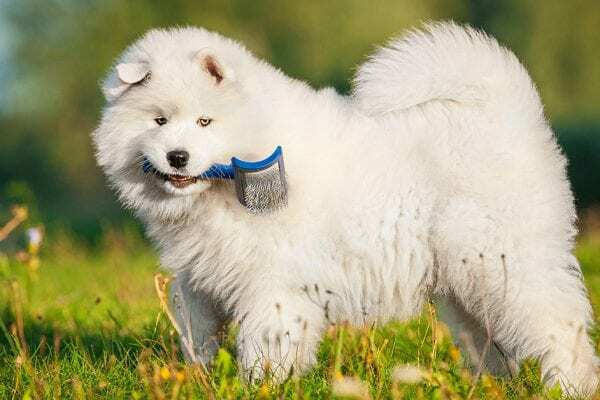 As their skin is not visible through their coats, they need to be washed with a shampoo that can penetrate through the fur down to the skin to keep it healthy. Vetericyn FoamCare Shampoo for high-density coats is perfect for the job, making it easy to get the messiest dog clean again. The spray-on applicator requires only one hand to hold, so you can use the other hand to hold your pup in place, in case they’re the type to try to escape during bath time. A simple spray, foam and rinse, and you’re done. Plus, this shampoo is designed to give just the right amount of suds to be ideal for each coat type. And you get more washes per bottle when compared to traditional shampoos.